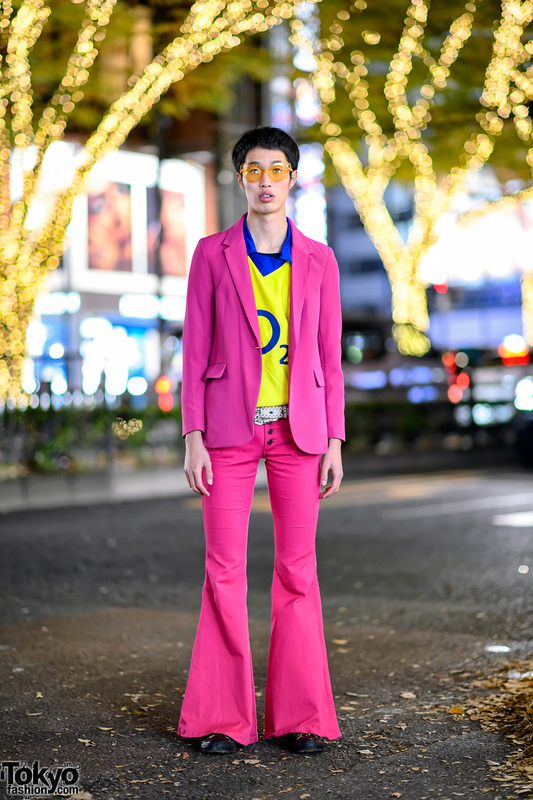 Moka is an 18-year-old Japanese student whose creative fashion often catches our eye on the street in Harajuku. 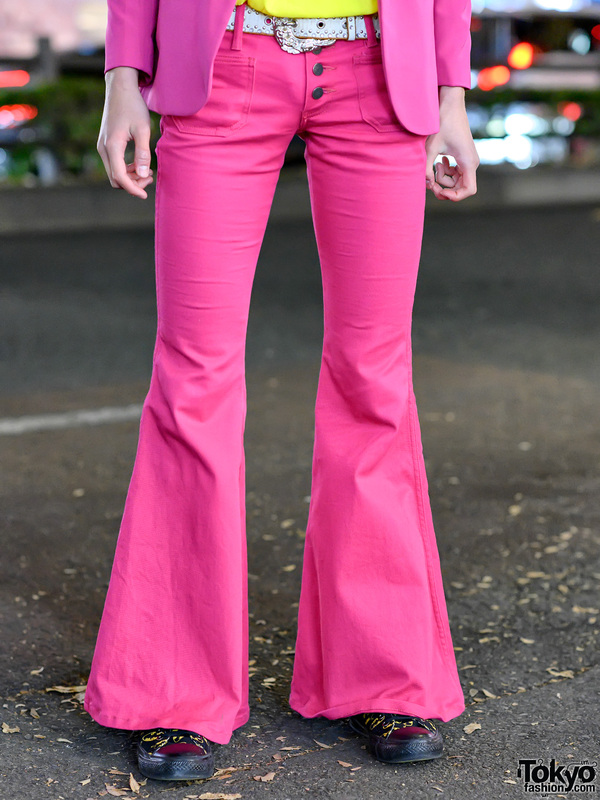 Moka’s look here includes a pink suit including a pink jacket and pink flare pants from the Shibuya retro boutique Dee Dee Bell Bottoms Shibuya. 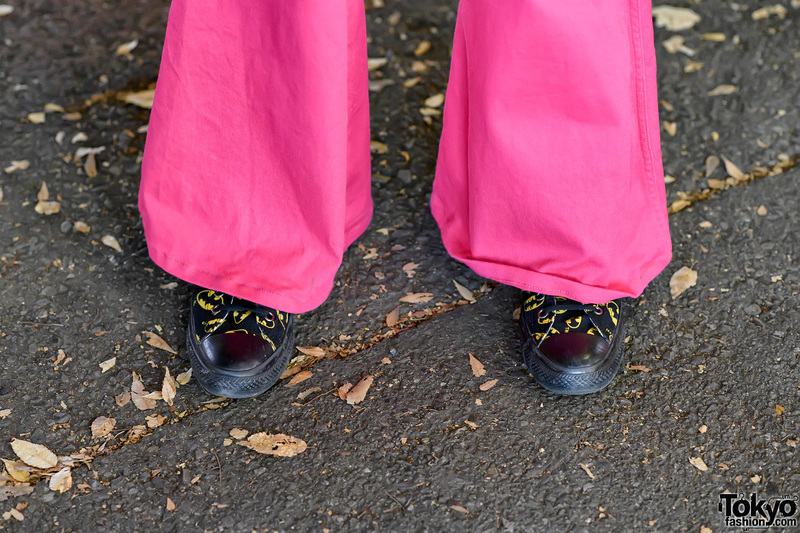 His pink suit is worn over a yellow Arsenal t-shirt with yellow tinted glasses and Batman print sneakers. Moka’s favorite band is T-Rex. 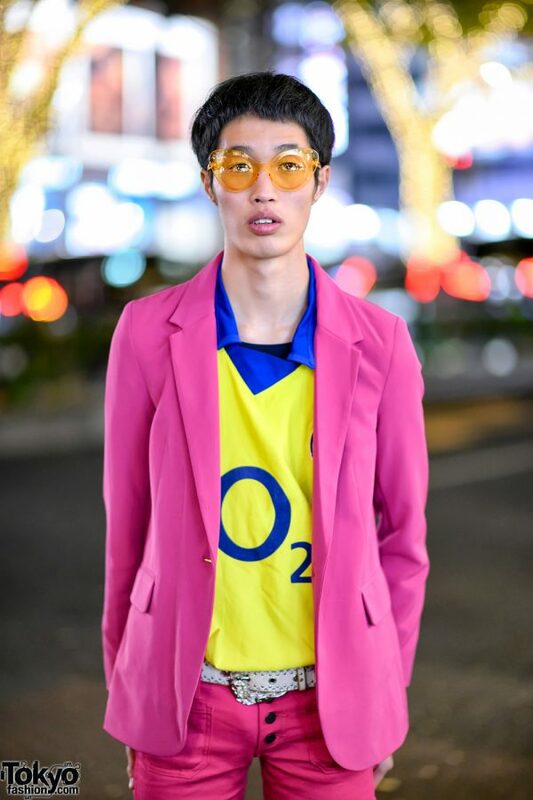 Follow him on Instagram or Twitter for more of his original personal style.